Jane Addams was an advocate for peace and was persistent in her efforts to help her community and support those in need. As part of our #BeDangerous campaign, we are encouraging everyone to be like Jane and tell us what they are doing to get involved and become agents of change. 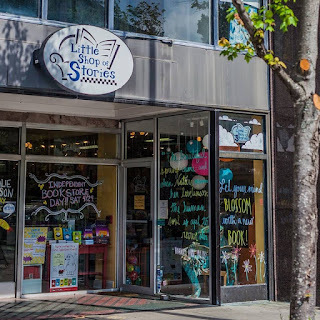 Decatur bookstore Little Shop of Stories is doing great things here in the Atlanta area, and co-owner Diane Capriola graciously provided us with details about what they as a bookstore are doing to engage the community and how they are encouraging others to "be dangerous." 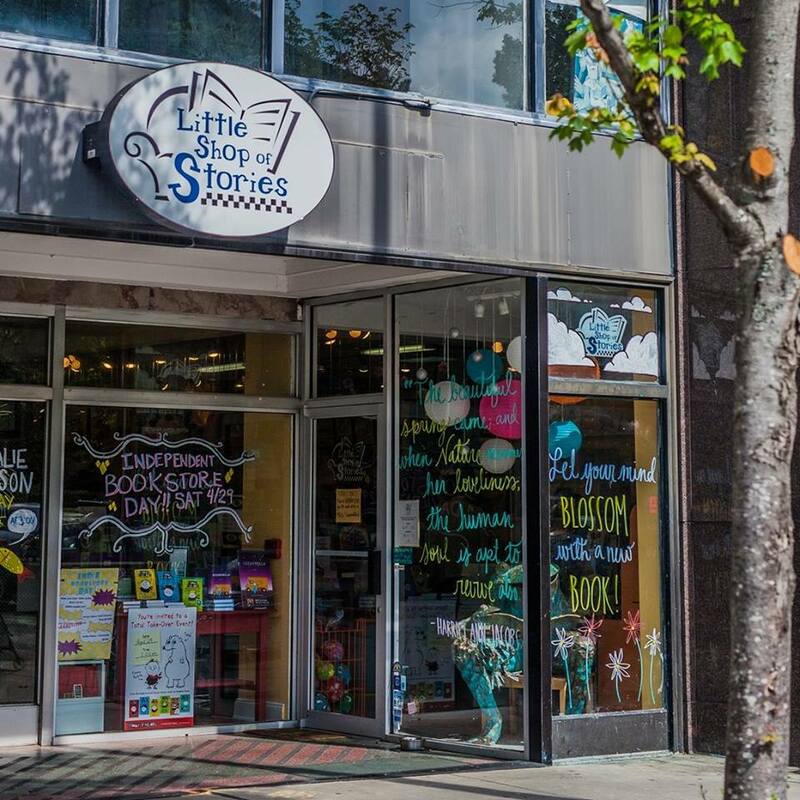 At Little Shop of Stories, we like to say that children's books will save the world. Not only do we see ourselves in the books we read but we are also able to see beyond our own experiences and to understand what it is like for someone else. Books are great and vitally important conversation starters about different lives, different problems, and different solutions. Using these ideas, we have created new programming in 2017 to engage our community in conversations through children's literature. The Kindness Project came out of discussions we had here at the shop during and after the November election season. There was so much negativity, intolerance, and divisiveness during that time that we really were concerned about the impact of it all on the children we serve. We decided we wanted to encourage a discussion on kindness, compassion, and empathy within our community of readers as a way to help families consider ways to think and act differently despite this negativity. Each month we focus on a different topic and provide book lists, workshops, and other activities that will help parents and teachers navigate conversations around these topics with children and teens. Our January story time about the Refugee Experience brought over 40 families to the shop. We worked with publishers to deliver hundreds of books to our very active refugee community. We conduct regular, robust story times highlighting picture books filled with diverse peoples and cultures. Our Gender Fluidity Workshop helped to create new support systems for parents and their children and teens. We held an April Poetry Workshop for kids to understand themselves and others through poetry. We've raised $130 in donations for shipping books to military families all over the US. That's like 16 or 17 boxes of books! This summer's Camp Be The Change endeavored to take the Kindness Project one step further—to encourage children to move from idea to action and to celebrate the amazing ways that they too can make a difference in the world around them. Campers learned about influential figures in history who have fought to make the world a better place, from Susan B. Anthony to Representative John Lewis. They also learned about kids like them who have chosen to take a stand to change their communities. Topics ranged from random acts of kindness to civil liberties, and campers explored ways to improve and support their own communities. 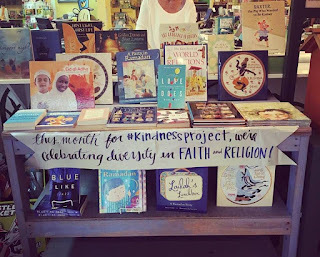 We're a bookstore, and we believe in the power of stories, and sharing those stories. We're not looking to do what non-profits do, or what other, better equipped or already established forms of outreach are doing. Instead, we are looking to initiate thoughtful action in ourselves and others through sharing one another's stories. To learn more about Little Shop of Stories and their 2017 programming, visit their website. Have a great example of how you make a difference in your community? Let us know on Facebook and Twitter to enter our #BeDangerous sweepstakes!